The BlackBerry KEYone is a fine phone, but it's not for everyone. TCL and BlackBerry managed to create a solid piece of hardware that banks a bit on the nostalgia factor while offering modern conveniences at the same time. As far as the form factor is concerned, there's plenty to like about the KEYone's aluminum build, excellent keyboard, and professional looks. I wish the phone were a bit slimmer, and yet the device combines a decent-sized touchscreen with QWERTY keys in a handset that's competitively sized and comfortable to hold and use. Core performance metrics are all on point. The display is decent, signal and voice quality are very good, and battery performance is excellent. 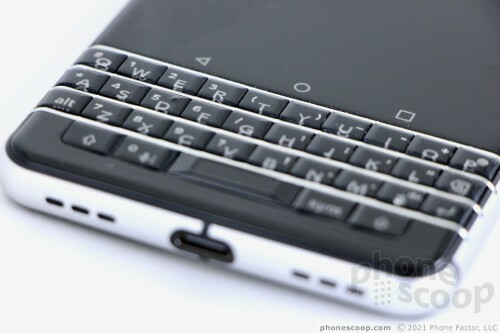 BlackBerry did a respectable job tweaking Google's Android platform in ways the benefit the end user. For example, it left basic home screen and settings tools alone and added business-friendly functions such as BlackBerry Hub. Toss in BlackBerry's keyboard shortcuts, Productivity Tab, and the unique protected widgets, and you have plenty of ways to access and manage your communications. The camera app may be spartan, but it delivers good results. The KEYone is not for multimedia lovers. The smaller display simply isn't ideal for watching videos and negates the phone's ability to support VR entirely. Moreover, if you prefer swiping on glass to pressing physical keys then there's no reason to regress to the KEYone. People who value physical keys, strong security options, and powerful messaging tools will find plenty to like in the BlackBerry KEYone. The company is selling the phone unlocked directly to consumers beginning May 31. The phone costs $549. The KEYone is no fancy flagship; instead, it's the workhorse that many of today's professionals still need to power through their day.